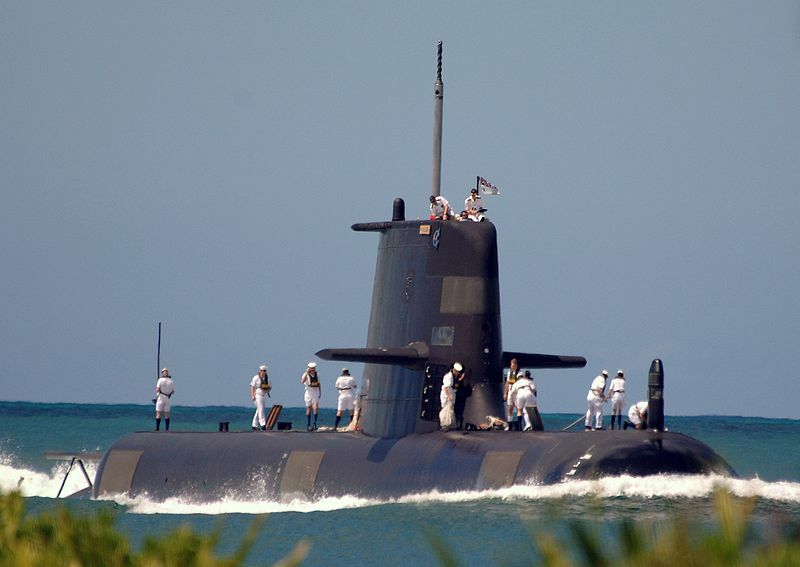 No issue in Australian defence creates more excitement and interest than submarines. It is not hard to see why. Australia has started what will be one of the largest submarine projects in the world with the construction of 12 state of the art conventionally powered submarines. However, a project of this size – it is costing us tens of billions of dollars over the next several decades - naturally attracts some questions. You may have seen a few. Questions like why are submarines so expensive? why do we need submarines at all? and are we building the right type of submarine? These are fair questions and deserve to be addressed. Let’s start with cost. Put simply, the high cost of submarines comes down to their complexity. Submarines, with the possible exception of rockets, satellites and other things we send into space, are the most complicated machines ever created by humanity. Australia’s future submarines will have over one million individual parts. We need all of these components because submarines need to do things that other vessels do not. Unlike surface ships submarines need to operate both above and below the water. They cannot be easily modified like surface ships and have vastly more complicated maintenance requirements. A practical example of complexity in a submarine design is testing the crush characteristics of the hull design. Australia is progressing this design, when the hull is finalised, we need to prove that the hull will withstand pressures at various depths according to Australian requirements. Unlike other complex machines, like an aircraft for example, a submarine can’t land if there are problems with the hull. The underwater environment analogy is much more akin to putting a vehicle into space. Even worse than space, with a submarine you cannot really put on a suit and go outside to fix things. Submarines also exist in a highly regulated market, one that quite rightly places a premium on the safety of our service men and women. When you look at the complexity and numerous operating requirements of submarines, it is easy to see why they do not come cheap. Designing, building and sustaining such vessels takes a lot of time and needs a lot of highly skilled labour. It is also worth noting that the cost of the Future Submarine Project is also a function of the length of the program. The last submarine is due to be finished in the late 2040s and sustainment is only due to wrap up in the late 2080s. Why would any country spend all this time and money such things? Australia has many obligations to its citizens in the areas of health, education and other social services. Why would we spend money on submarines instead of these areas? Secure sea lanes are probably the most important national security requirement for Australia. As an island nation, we are more vulnerable than most to sea lane disruption. To not secure our sea lanes is to put our national security and entire economy at risk. History tells us that maritime security and economic security are indelibly linked. Naval blockades and warfare were central to the outcomes of both world wars and numerous other conflicts. Submarines, along with our naval surface fleet, are the key elements of effective maritime security. Submarines defend our sea lanes. We keep hearing the term regionally superior because the best way to defeat another submarine is with a better submarine. Submarines also offer the best protection for the rest of our naval fleet. If you accept the need for submarines, how do you know if you have the right one? There has been much debate in the media about both the size and type of submarine we have selected. In particular, the question has been asked repeatedly whether Australia should have nuclear submarines. Why has Australia decided to build conventionally (diesel), powered submarines instead of nuclear ones? Apart from the merits or otherwise of nuclear submarines, Australia cannot realistically build or support any without a domestic nuclear industry. Without the supporting industry this would be like trying to build a multi-story office building on a foundation of sand. Until Australia has such an industry, the debate about nuclear submarines is a non-starter. I have every confidence the Australian Government has made the right strategic decisions on submarines and chosen a design that will meet the Australian requirements. They are to be commended for investing in Australian defence capability to ensure our country’s national security needs are met. For the naysayers and detractors, who I will also acknowledge are acting as patriots in sharing their views, I suggest you focus your attention on the strategic need and ensure that as we go along our submarine requirement matches the strategic drivers as they evolve. This is probably more important than the minutiae of how to execute the project. We have access to experts, let’s use their expertise. The challenges of submarine design, construction and sustainment are not to be underestimated, but through the course of the program we will develop one of only a handful of workforces in the world capable of the task. Australia has the skills, knowledge and decision-making capability to make the Future Submarine Project an unvarnished success and just by virtue of the fact that we are acting with commitment and determination, we will draw to ourselves all of the things that we need. Article by Peter Behrendt, the Managing Director of BMT Defence and Security, Australia. Peter has a strong record of exceptional business growth and hands-on leadership in the areas of Combat and Maritime Systems, within both the naval and civil maritime domain in a global context (Belgium, Canada, India, Sweden). Peter spent more than a decade forging an accomplished Australian Naval career. He moved to the private sector in 2008 with Saab and spent nearly 15 years in various senior positions in Australia, Canada and Europe. He joined BMT in 2017. BMT is an international design, engineering and risk management consultancy, working principally in the defence, energy and environment, marine risk and insurance, maritime transport, and ports and logistics sectors.